This volume explores the idea that survival of the Christian faith depended upon the making of these communities, of which the Christians of this period were themselves acutely – and sometimes acrimoniously – aware. 'The Making of Christian Communities' sheds light on one of the most crucial periods in the development of the Christian faith. 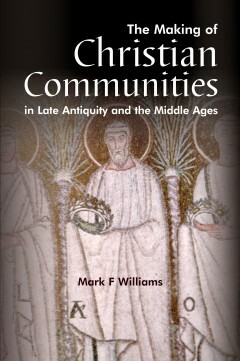 It considers the development and spread of Christianity between Late Antiquity and the Middle Ages, and includes analysis of the formation and development of Christian communities in a variety of arenas, ranging from Late Roman Cappadocia and Constantinople to the court of Charlemagne and the twelfth-century province of Rheims, France during the twelfth century. The rise and development of Christianity in the Roman and Post-Roman world has been exhaustively studied on many different levels, political, legal, social, literary and religious. However, the basic question of how Christians of Late Antiquity and the Early Middle Ages formed themselves into communities of believers has sometimes been lost from sight. This volume explores the idea that survival of the Christian faith depended upon the making of these communities, of which the Christians of this period were themselves acutely – and sometimes acrimoniously – aware. Mark F. Williams is Professor of Classics at Calvin College, Michigan, USA.